Vegetable Gardeners like growing cabbage. ..... cool weather is their favorite. Our gardener planted cabbage in the new raised bed garden. 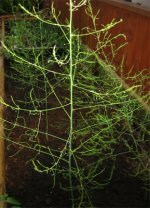 ... a good winter garden vegetable plant. Vegetable seeds or transplants ? 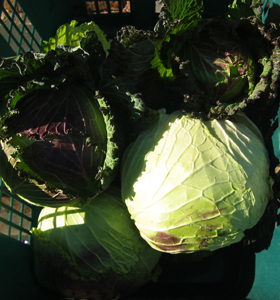 Seed companies offer cabbage varieties for early and late harvest. The local gardening supply and plant nursery will have seedlings ready to plant. .... require a different location each year. Rotate Crops ........ back to the same spot in 3 years. Cabbage cultivation in a small space garden can be a challenge. 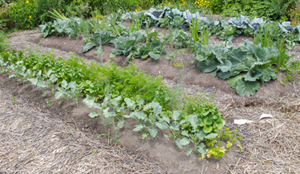 If the crop can not be rotated .... rotate some or all of the garden soil. A cover crop in this repeat location will help rejuvenate the earth. Cabbage is shallow rooted so a raised bed garden does not need to be deep. Wider spacing will produce larger heads. .... for a winter garden transplants should be in the ground by mid August. .... corn or pole beans will provide some shade. Water .... Cabbage likes an even moisture supply. ..... we cabbages have shallow roots that are easily damaged. .... When the white butterflies start hanging out it may be wise to cover the growing cabbage plants. 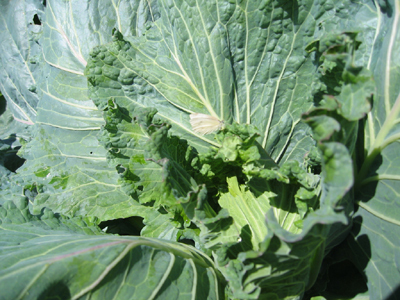 .... it apparently upsets the cabbage loopers stomachs ....goodbye cabbage worms .... gone ! Harvesting is something our gardener keeps simple. 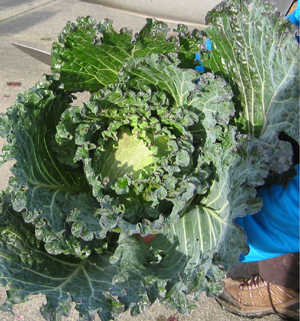 ... fresh heads will be picked from the vegetable garden June until late winter. .... Is it any wonder that our gardener likes growing cabbage ?